The Local Data Company, much to the chagrin of Marks and Spencer, has released a list of stores it has calculated to be most at risk of closure following the store's announcement last week that 60 clothing and home stores would close. Thirty of the clothing and home stores will close outright, with the rest either being downsized or refitted as Simply Food outlets. According to the LDC, it is most likely M&S will close town centre locations as shoppers favour out-of-town retail parks with plenty of parking. 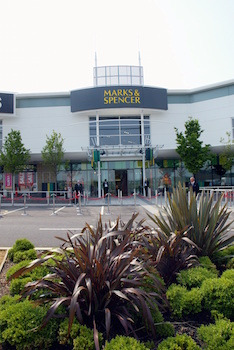 Said LDC director Matthew Hopkinson: " There are 35 towns and cities that have more than two M&S stores either on the high street, in a shopping centre or on the edge of town in a retail park. Meanwhile, M&S representatives have said they are "very disappointed that anyone would choose to speculate in this way," adding: "this list is not based on any M&S data and we have not published any locations." The store closures and openings will take place over the next five years as new chief executive Steve Rowe takes steps to make the retailer "more modern and more appropriate to how customers are shopping."